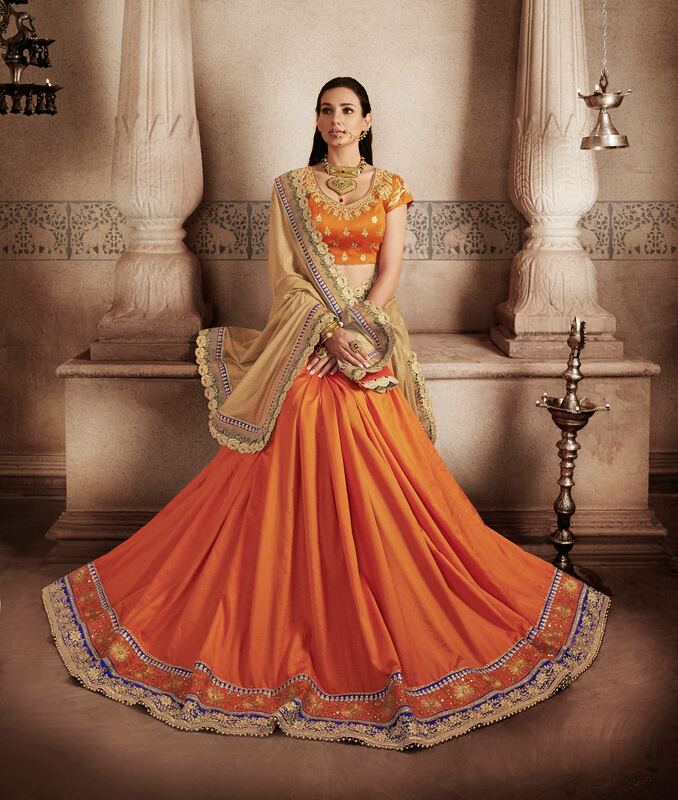 Give a glamorous look to yourself donning this beautiful beige - orange half & half saree. 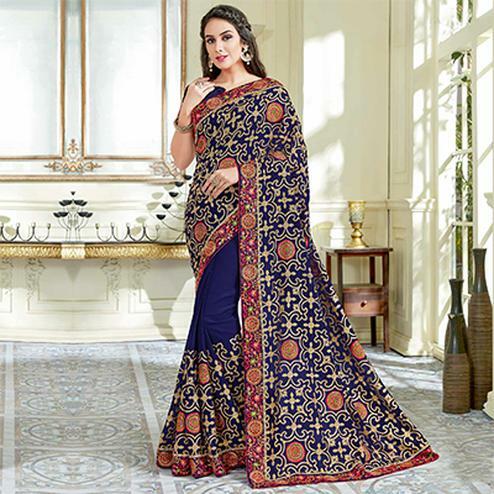 Featuring raschel net pallu enriched with cut work embroidery border and handloom art silk skirt decorated with embroidery border. 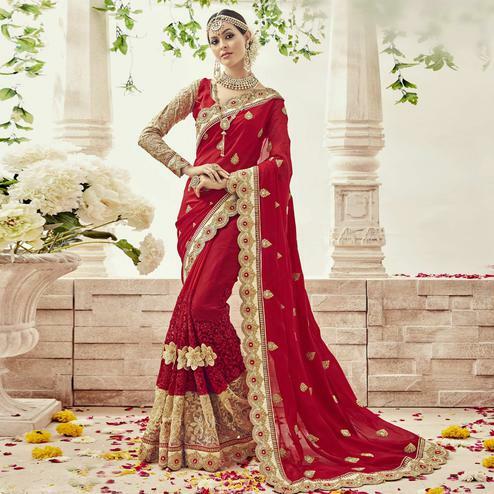 As shown this saree comes along with orange dhupian blouse having embroidered butti and neckline. Best suited for weddings receptions and engagement ceremonies.